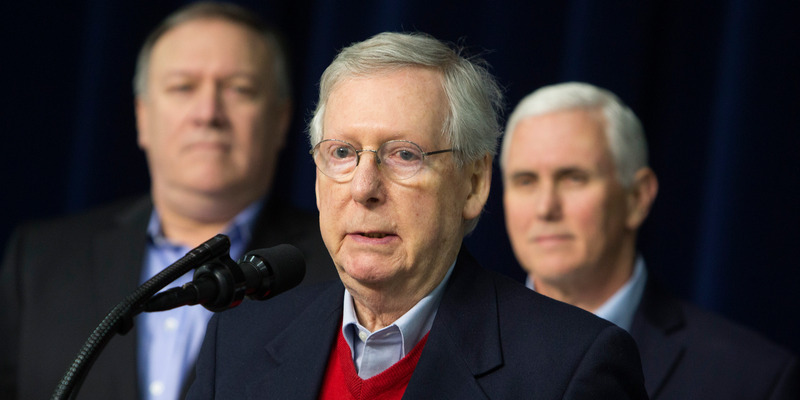 Senate Majority Leader Mitch McConnell said the special counsel Robert Mueller needs to be allowed to finish his investigation without interruption. McConnell added that he does not think any barriers to protect Mueller from a potential firing by Trump are necessary. WASHINGTON – Senate Majority Leader Mitch McConnell said Tuesday that Robert Mueller, who heads the special counsel created to investigate attempts by the Russian government to interfere in the 2016 presidential campaign, should be allowed to finish his mission without interruption. The increased attacks on Mueller from the president did nothing to raise concerns among Republicans that an attempt to oust the special counsel chief could be imminent. The New York Times reported in January that Trump wanted Mueller fired last summer, but ultimately backed down after White House Counsel Don McGahn threatened to quit before issuing an unlawful order to the Justice Department. Nevertheless, Republicans do not see a need to shield Mueller in advance of a potential firing, which McConnell echoed on Tuesday.